You all know by now how much we love Doctor Who here at The Weekly Stuff, so it should come as no surprise that we are very excited for the introduction of Peter Capaldi’s 12th Doctor on the new season of the show this Saturday. In preparation for this momentous occasion, we’ve gone back to several other Doctor introduction stories over the life of the series to examine how other writers and actors have handled the difficult and unique challenge this kind of episode presents. 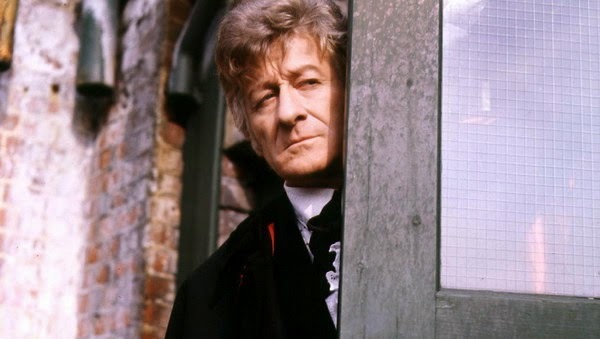 Specifically, we break down and discuss the 3rd Doctor debut “Spearhead from Space,” the 6th Doctor premiere “The Twin Dilemma,” “The Christmas Invasion” from the 10th Doctor, and “The Eleventh Hour” from the 11th. Enjoy, and come back in just a few days for the next episode, in which we discuss the first story of the Capaldi era! At least for desktop computers, the newer driver bundles for NVIDIA graphics cards come with a program called ‘Geforce Experience’. In addition to monitoring for driver updates, this program can optimize your game settings for you based on your system stats. Then you can even launch your games from within this program. Yup, I have that on my laptop, and it's awesome! Bioshock Infinite was running slugishly before I used it, but when I did the optimization, it was running at higher levels than I could have imagined, and with incredible fluidity. It's a great tool.